As Akhram approached the bandits, he attacked Abdur Rahman and cut one leg of his horse. As Abdur Rahman fell down from his horse, he attacked Akhram and killed him. Abu Qatadah had meanwhile arrived. In the fighting that took place Abdur Rahman lost his life and Abu Qatadah lost his horse.”It is written in some books of history that, when Akhram was going to attack Abdur Rahman, Salamah RA advised him to wait till the rest of his people had joined him but he did not wait, saying: "I wish to die in the path of Allah ." He was the only person killed from among the Muslims. The bandits lost a good number of their men. More help reached the Muslims and the bandits ran away. 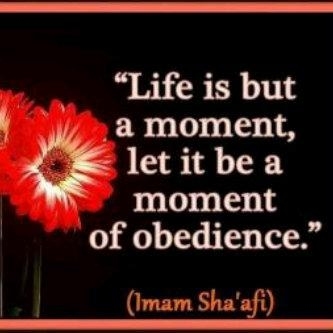 Salamah asked for Nabi's SAW permission to chase them saying: "O, Nabi of Allah! Let me have one hundred men, I shall teach them a lesson." 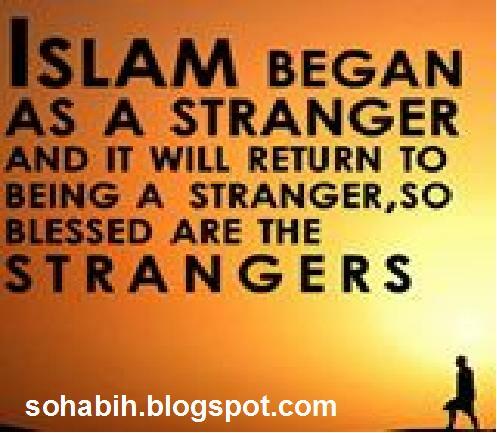 Nabi SAW said: "No. They would have reached their homes by now." There are many fantastic companions of the beloved Prophet of Allah ( ). However, I just wanted to post some of the narrations about this fantastic companion, an Ansari, who was one of the bravest, sincere, toughest believers who fought by the side of the Prophet ( ) for the love and sake of Allah. Once I went (from Medina) towards (Al-Ghaba) before the first Adhan of the Fajr Prayer. The she-camels of Allah's Apostle used to graze at a place called Dhi-Qarad. A slave of 'Abdur-Rahman bin 'Auf met me (on the way) and said, "The she-camels of Allah's Apostle had been taken away by force." I asked, "Who had taken them?" He replied "(The people of) Ghatafan." I made three loud cries (to the people of Medina) saying, "O Sabahah!" I made the people between the two mountains of Medina hear me. Then I rushed onward and caught up with the robbers while they were watering the camels. I started throwing arrows at them as I was a good archer and I was saying, "I am the son of Al-Akwa', and today will perish the wicked people." I kept on saying like that till I restored the she-camels (of the Prophet), I also snatched thirty Burda (i.e. garments) from them. Then the Prophet and the other people came there, and I said, "O Allah's Prophet! I have stopped the people (of Ghatafan) from taking water and they are thirsty now. So send (some people) after them now." On that the Prophet said, "O the son of Al-Akwa'! You have over-powered them, so forgive them." Then we all came back and Allah's Apostle seated me behind him on his she-camel till we entered Medina. Then the Prophet said, "May Allah bestow His Mercy on him." A man amongst the people said, "O Allah's Prophet! has (martyrdom) been granted to him. Would that you let us enjoy his company longer." Then we reached and besieged Khaibar till we were afflicted with severe hunger. Then Allah SWT helped the Muslims conquer it (i.e. Khaibar). In the evening of the day of the conquest of the city, the Muslims made huge fires. The Prophet SAW said, "What are these fires? For cooking what, are you making the fire?" The people replied, "(For cooking) meat." He asked, "What kind of meat?" They (i.e. people) said, "The meat of donkeys." The Prophet said, "Throw away the meat and break the pots!" Some man said, "O Allah's Apostle! Shall we throw away the meat and wash the pots instead?" He said, "(Yes, you can do) that too." So when the army files were arranged in rows (for the clash), 'Amir's sword was short and he aimed at the leg of a Jew to strike it, but the sharp blade of the sword returned to him and injured his own knee, and that caused him to die. When they returned from the battle, Allah's Apostle saw me (in a sad mood). He took my hand and said, "What is bothering you?" I replied, "Let my father and mother be sacrificed for you! The people say that the deeds of 'Amir are lost." The Prophet said, "Whoever says so, is mistaken, for 'Amir has got a double reward." The Prophet raised two fingers and added, "He (i.e. Amir) was a persevering struggler in the Cause of Allah and there are few 'Arabs who achieved the like of (good deeds) 'Amir had done." "An infidel spy came to the Prophet SAW while he was on a journey. The spy sat with the companions of the Prophet SAW and started talking and then went away. The Prophet said (to his companions), 'Chase and kill him.' So, I killed him." The Prophet then gave him the belongings of the killed spy (in addition to his share of the war booty). By God, I continued shooting at them and hamstringing their animals. Whenever a horseman turned upon me, I would come to a tree and (hid myself) sitting at its base. Then I would shoot at him and hamstring his horse. (At last) they entered a narrow mountain gorge. I ascended that mountain and held them at bay throwing stones at them. I continued to chase them in this way until I got all the camels of the Messenger of Allah (may peace be upon him) released and no camel was left with them. They left me; then I followed them shooting at them (continually) until they dropped more than thirty mantles and thirty lances. lightening their burden. On everything they dropped, I put a mark with the help of (a piece of) stone so that the Messenger of Allah (may peace be upon him) and his Companions might recognise them (that it was booty left by the enemy). (They went on) until They came to a narrow valley when so and so, son of Badr al-Fazari joined them. They (now) sat down to take their breakfast and I sat on the top of a tapering rock. Al-Fazari said: Who is that fellow I am seeing? They said: This fellow has harassed us. By God, he has not left us since dusk and has been (continually) shooting at us until he has snatched everything from our hands. He said: Four of you should make a dash at him (and kill him). (Accordingly), four of them ascended the mountain coming towards me. When it became possible for me to talk to them, I said: Do you recognise me? They said: No. Who are thou? I said: I am Salama, son of al-Akwa'. By the Being Who has honoured the countenance of Muhammad (may peace be upon him) I can kill any of you I like but none of you will be able to kill me. One of them said: I think (he is right). So they returned. I did not move from my place until I saw the horsemen of the Messenger of Allah (may peace be upon him), who came riding through the trees. Lo! the foremost among them was Akhram al-Asadi. Behind him was Abu Qatada al-Ansari and behind him was al-Miqdad b. al-Aswad al-Kindi. I caught hold of the rein of Akhram's horse (Seeing this). they (the raiders) fled. I said (to Akhram): Akhram, guard yourself against them until Allah's Messenger (may peace be upon him) and his Companions join you. He said: ) Salama, if you believe In Allah and the Day of Judgment and (if) you kaow that Paradise is a reality and Hell is a reality, you should not stand between me and martyrdom. so I let him go. Akhram and Abd al-Rahman (Fazari) met in combat. Akhram hamstrung Abd al-Rahman's horse and the latter struck him with his lance and killed him. Abd al-Rabman turned about riding Akhram's horse. Abu Qatada, a horse-man of the Messenger of Allah (may peace be upon him), met 'Abd al-Rahman (in combat), smote him with his lance and killed him. By the Being Who honoured the countenance of Muhammad SAW (may peace oe upon him), I followed them running on my feet (so fast) that I couldn't see behind me the Companions of Muhammad (may peace be upon him), nor any dust raised by their horses. (I followed them) until before sunset they reached a valley which had a spring of water, which was called Dhu Qarad, so that they could have a drink, for they were thirsty. They saw me running towards them. I turned them out of the valley before they could drink a drop of its water. They left the valley and ran down a slope. I ran (behind them), overtook a man from them, shot him with an arrow through the shoulder blade and said: Take this. I am the son of al-Akwa'; and today is the day of annihilation for the people who are mean. The fellow (who was wounded) said: May his mother weep over him! Are you the Akwa' who has been chasing us since morning? I said: Yes, O enemy of thyself, the same Akwa'. They left two horses dead tired on the hillock and I came dragging them along to the Messenger of Allah (may peace be upon him). I met 'Amir who had with him a container having milk diluted with water and a container having water. I performed ablution with the water and drank the milk. Then I came to the Messenger of Allah (may peace be upon him) while he was at (the spring of) water from which I had driven them away. The Messenger of Allah (may peace be upon him) had captured those camels and everything else I had captured and all the lances and mantles I had snatched from the polytheists and Bilal had slaughtered a she-camel from the camels I had seized from the people, and was roasting its liver and hump for the Messenger of Allah (may peace be upon him). I said: Messenger of Allah, let me select from our people one hundred men and I will follow the marauders and I will finish them all so that nobody is left to convey the news (of their destruction to their people). (At these words of mine), the Messenger of Allah (may peace be upon him) laughed so much that his molar teeth could be seen in the light of the fire, and he said: Salama, do you think you can do this? I said: Yes, by the Being Who has honoured you. He said: Now they have reached the land of Ghatafan where they are being feted. (At this time) a man from the Ghatafan came along and said: So and so slaughtered a camel for them. When they were exposing its skin, they saw dust (being raised far off). They said: They (Akwa' and his companions) have come. So. they went away fleeing. In A.H. 6, the Prophet (PBUH) and his Companions aimed at visiting theSacred House in Makkah, but the Quraish hindered them from doing so. The Prophet (PBUH) sent `Uthman Ibn `Afaan RA to tell them that he came as a visitor, not as a fighter. While they awaited `Uthman's return, a rumor spread that the Quraish had killed him. The Prophet (PBUH) sat under a shady tree to take the Companion's oath of allegiance, one by one. They gave him their word to he ready to die. Salamah reported: I swore the oath of allegiance in front of the Prophet to be ready to die. Then I stepped aside. When the crowd of people nearly ended, the Prophet (PBUH) said, "O Salamah, aren't you going to swear your oath of allegiance?" I said, "I've already done that." He said, " Again." I swore the oath again. Salamah had redeemed his oath long before that day. 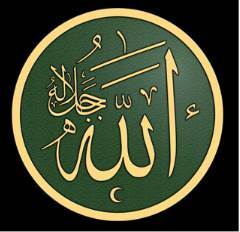 He redeemed it since the day he admitted that there is no god but Allah and Muhammad is His Messenger. 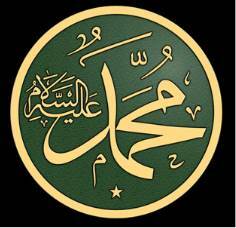 He said, "I joined the Prophet (PBUH) in seven battles and joined Zaid Ibn Haarithah in nine battles." He was one of the most skillful warriors as an infantryman and one of the best to shoot arrows and throw spears. His tactics were similar to present day guerilla warfare : if an enemy approached, he retreated waiting forhim to move backwards or to take a rest, in order to attack him by suprise.In this way he was able to chase alone the force led by `Uyainah Ibn HisnAl-Fizaarii which raided the environs of Al-Madiinah in the Dhii Qarad raid.Totally alone, he followed their traces, then continued fighting and pushingthem away from Al-Madiinah until the Prophet (PBUH) reached him with a greatnumber of Companions. On that day the Prophet (PBUH) said to the Companions,"Our best infantryman is Salamah lbn Al Akwa". In that battle Aamir wanted to strike a polytheist with his sword. However, his sword bent and its edge injured him fatally. Some Muslims said, "Poor `Aamir, he has been deprived of martyrdom." Salamah's anxiety was severe because he thought, like others, that his brother, who had killed himself accidently, was deprived of the recompense of jihaad and the reward of martyrdom. But soon the Prophet (PBUH) put things in their right order when Salamah went to him saying. "O Messenger of Allah,is it true that by dying in this way `Aamir has been deprived of the reward of all his previous deeds?" The Messenger (PBUH) answered, "He has been killed as a mujaahid. He is to be granted two rewards. He is right now swimming in the rivers of Paradise. Salamah was very generous. However, he was more so when asked to give something for the sake of Allah SWT. If someone had asked him to give away his life for the sake of Allah SWT, he would not have hesitated to do so. People knew this attitude of his, so when anyone needed something, he just asked him for the sake of Allah. He always said, "If someone would not give for the sake of Allah, for whose sake then would he give?" On the day of `Uthman's RA murder (May Allah be pleased with him) the great mujaahid realized that the gates of sedition had been opened. How could it be possible for him who had fought among his brethren all his life to turn into a warrior against his brethren? It was not his right to use his fighting skill, which had been praised by the Prophet (PBUH), against believers and Muslims.